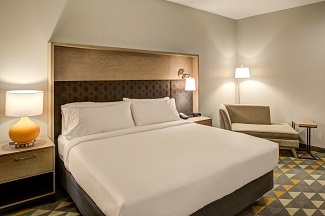 Looking for one of the newest green IHG hotel rooms in Katy, Texas with a King Bed? How about a Katy, TX hotel with indoor Saline Pool, game room and restaurant? The Holiday Inn West Houston at Katy Mills, an IHG Green Engage property, is the ideal location!